Dogs like playing outside where their paws collect loads of mud, which then travels with them to the inside of your house. Oftentimes, they will run around and dig outside when the soil is soft, leaving them filled with dirt and mud that go all the way up to their elbows. One way you can keep your furry friend from tracking mud through your home is to invest in door mats that are designed to absorb mud, water, and dirt. To prevent mud from getting onto your carpet or floor, place a washable throw rug inside the house, and a doormat outside the door. The rug and doormat will absorb a lot of dirt and debris simply from your pet walking across them, greatly reducing the amount of mud that makes their way inside your house. This can serve as your home’s first line of defense against dirt from outside. For dirt stuck in between claws, you can use paw wipes that are gentle enough for regular use, and contain ingredients such as lanolin and aloe. You can also use a cloth or towel to effectively remove debris from their paws. Cleaning the carpet is a time-consuming task. It can be even more challenging when your pet’s hair gets trapped in the carpet fibers. 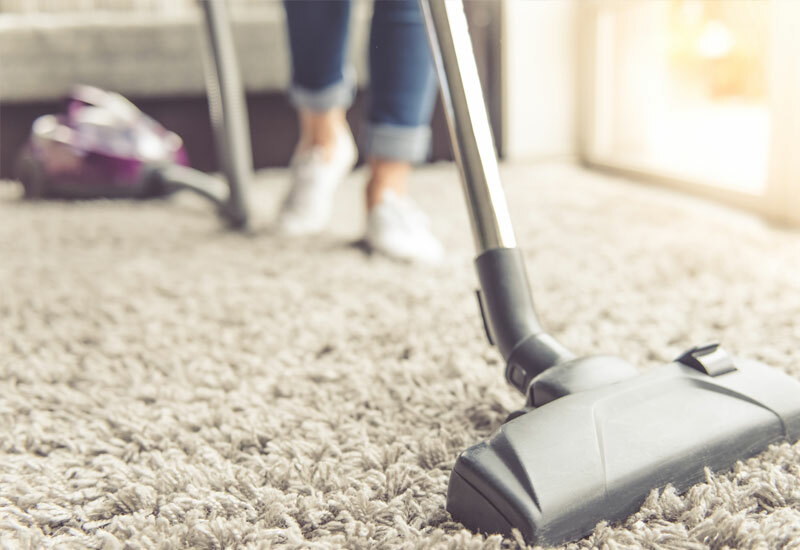 For this task, it may be best to seek the assistance of professional cleaners who are familiar with the appropriate cleaning solutions and equipment that should be used to spot clean the carpet without damaging the fabric it is made of. 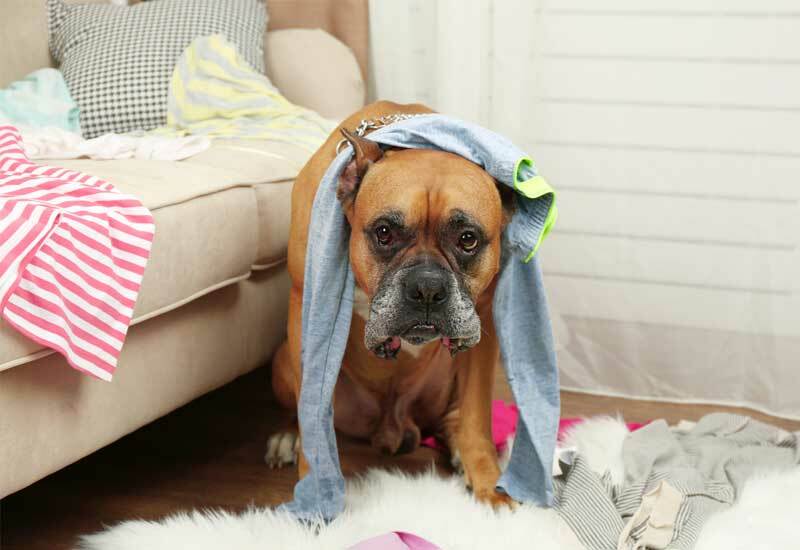 When your pet is smelly, and dirty, you can expect your house to be equally stinky and messy. To maintain your pet’s level of cleanliness, set up a regular grooming routine. If you have medium-haired cats, it is recommended that you groom them on a daily basis to get rid of twigs, leaves, and other debris. Bathing your dog at least once a month can also prevent foul odors from spreading inside your house. You do not have to use pet shampoo every time you clean your dogs. Using plain water and bath wipes can help keep them smelling fresh between baths. It is difficult for pet owners to keep fur off the furniture because you can’t really stand to push your fur baby off the sofa, right? Some pet owners wrap their couches in plastic, but the problem with this is that makeshift covers often come untucked, and will look like a mess especially when your pets constantly jump on the plastic. To solve this problem, you canchoose a sofa that is made of stain-resistant fabrics. Microfiber suede and Crypton are good choices, as they clean up easily, and are also resistant to scratches. Sturdy and high-quality leather is another great choice as you can easily wipe hair, dirt, or clobber off the material using a damp cloth. The color of the sofa also matters, so if your pet has dark hair, go for lighter fabrics. Conversely, you want to steer clear of dark-colored furniture if your pet has white fur. Your choices are not limited to this, as you can always go for multicolored patterns wherein pet hair will be less visible. Fur is inevitable in pet-owning households. If you are constantly battling with removing fur off the floor, clothing, and carpet, then using electrostatic cloths can help make the job easier for you. Lint rollers are also useful, and are a must-have for any fur-parent. Lint rollers are easy to use since they can fit underneath chairs and sofas, so there is no need to move heavy furniture around. Simply roll the lint roller to pick up fur from your clothes and furniture. The presence of a furry friend in a house is easily evident with the dog toys on the floor, and the scent that sticks to sofas and beds. As such, it’s important to wash your pet’s bedding and blanket at least once a week to remove the smell that your dogs or cats transfer to these items. Doing this will not only minimize pet odors in your home, but will also help keep your pet’s coat looking healthy. Performing a clean of the house at least once a month is vital to improve indoor air quality and keep your home fresh and clean. This chore becomes even more important when you have pets at home that leave fur, mud, and debris everywhere. As a general rule, you should vacuum every other day if you have more than three pets living with you at home. If you are having a hard time keeping up with all the cleaning chores that have to be done to keep your house looking tidy, one of your best options is to have experts take over the big tasks for you. Removing pet hair from furniture, floors, and clothes is no easy task, and you may need to spend a few hours to completely get the job done, so if you feel like you lack the time (or energy) to do all these by yourself, simply set a regular cleaning appointment for your abode. Just make sure to hire a cleaning company that uses pet-friendly cleaning solutions. One way to find out if a company provides pet-friendly cleaning services is to inquire about the cleaning products, and the tools or machines they will use during every cleaning appointment. A reputable cleaning company will be equipped with the right tools such as a vacuum system with HEPA or High Efficiency Particulate Air filtration that is able to trap even microscopic-sized pollutants. 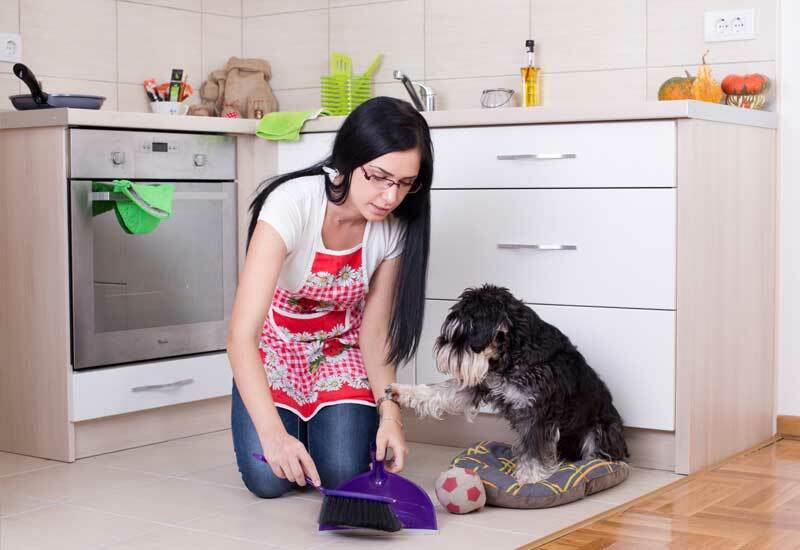 At Pristine Home, we are well-versed in the intricacies involved in cleaning properties with pets. We are committed to helping you maintain an odor-free and sparkling clean house using eco-friendly cleaning solutions that effectively cut through wet food residue, grime, and nose prints. Need help cleaning your home? Easy, just enter your postcode online and get a free quote and within 60 seconds you can be well on your way to booking your home clean.